This should be carried out annually on the habitation area or ‘home’ element of your motorhome. It is designed to check that the gas, electric, water systems and appliances are running safely, efficiently and smoothly. In the unlikely event of damp entering your motorhome it is detected as soon as possible. We offer modular motorhome servicing as we have found that this suits our customers. It allows you to make up the service level that you require depending on your situation and vehicle type. At Sunstore Leisure we aim to offer the very best in motorhome servicing. Our highly experienced engineers will look after your motorhome and ensure all of our work is to the highest standards. We offer a workshop based AWS approved service as well as a mobile technician for those emergencies and repairs. We have free electrical hook-up and water supply onsite if you wish to spend the night, as well as a free courtesy car if you wish to see the local sights that Worthing and the South Downs have to offer whilst we are looking after your motorhome. 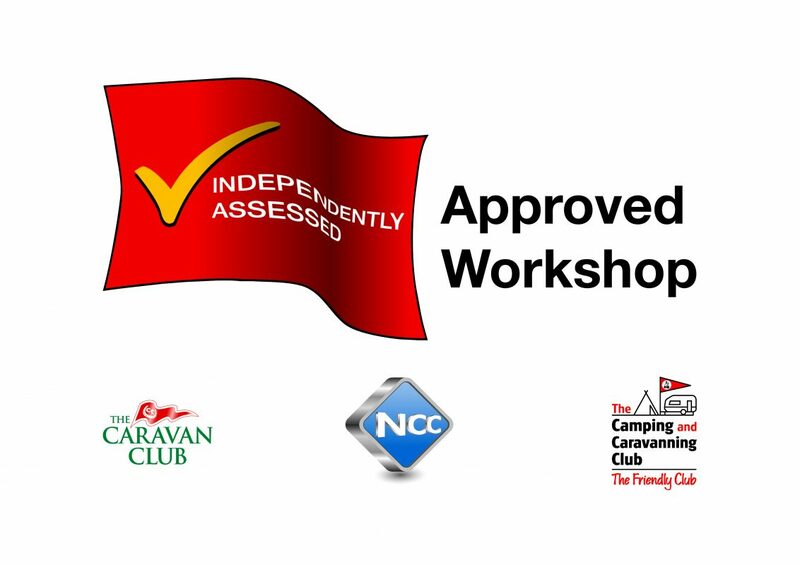 In addition to your annual habitation check it is now being recommended by the NCC and AWS that every 3 years your caravan and motorhome has a EICR. A EICR is in in depth report on your vehicles electrical system. Every joint, connection, socket, cable insulation and plug is checked both electronically with high voltage and manually. This means every connections is checked and tightened as well as inspected for any possible damage or past or potential issues. Some campsites and insurance companies now are asking for this report to ensure safety among caravans and the sites. Insurance companies may even be offering discounts in some instances. Our EICR takes approximately 4 hours and costs: £240 inclusive. If you would like to read up more please see an independent advice page on what is required, recommended or suggested and when. The AWS leaflet on this recommendation can be viewed here. As well as the obvious need to ensure that your motorhome is operating in the way intended and to avoid any untimely failures on either the habitation or mechanical side of the vehicle it is important to consider your safety. At Sunstore our habitation service includes a Gas Safety check as well as a Carbon Monoxide check. It is also imperative that to maintain the manufacturers’ warranties, habitation services must be carried out annually as failure to do so will invalidate your vehicle’s habitation warranty which on a new UK built motorhome is typically 3 years and up to 10 years for water ingress. A mechanical warranty on a UK built motorhome is typically 3 years and accordingly your vehicle should at the very least have a service by the end of year 2. Mechanical servicing is carried out on the chassis and engine of your motorhome and depending on mileage undertaken should be carried out at least every two years – or at 20k mileage intervals if sooner. We also recommend that an oil and filter change is carried out in the years between full servicing and in line with vehicle manufacturers recommendations, due to the relatively low number of miles covered. A mechanical vehicle health check is undertaken free of charge when an oil and filter change is carried out. Prices are vehicle dependent. Please contact us for an accurate cost. We are able to arrange MOTs for your vehicle in conjunction with any other service or time in our workshop. We do not have this facility on site but for convenience this can be arranged upon request.